The CDS is not just a teaching centre, it has also been involved in research. For example we did research for the NCSE, National Council for Special Education, relating to Deaf education in Ireland. We also worked with the Paul Partnership to look at the interpreting services available to members of the Deaf community in the mid-west region. More importantly, the Government funding is provided to the Higher Education Authority for research. 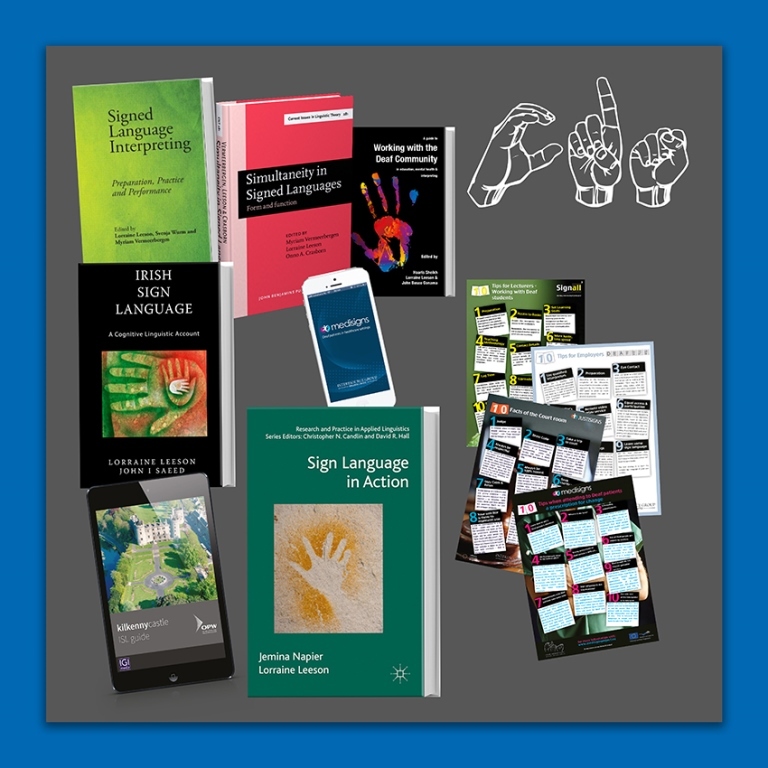 We received grants from SIF, Strategic Innovation Fund, to develop digital material for teaching ISL and Deaf Studies. We also received the Leonardo Da Vinci Fund which is EU funded. This supported our research in areas such as e-learning and online teaching for sign language, and CD signing projects with Bristol University. In addition to this, it helped establish the Signall II and III projects with Interesource Group Limited, the Irish Deaf Society, the Finish Association for the Deaf and other universities such Sussex University in the UK with our partners in Czech Republic and Poland. The CDS has carried out its own research that includes the Signs of Ireland Corpus, which is a collection of visual data of various Deaf signers from around Ireland. This is a valuable resource for students because it gives them the opportunity to observe the many sign variations that exists between male and female signers of different ages.